-Full freeway access to I-10 and 303 upon completion of Interchange currently under construction. -Level land near I-10/Loop 303 Interchange -Sewer and water available- City of Goodyear -Excellent West Valley location with great freeway access. 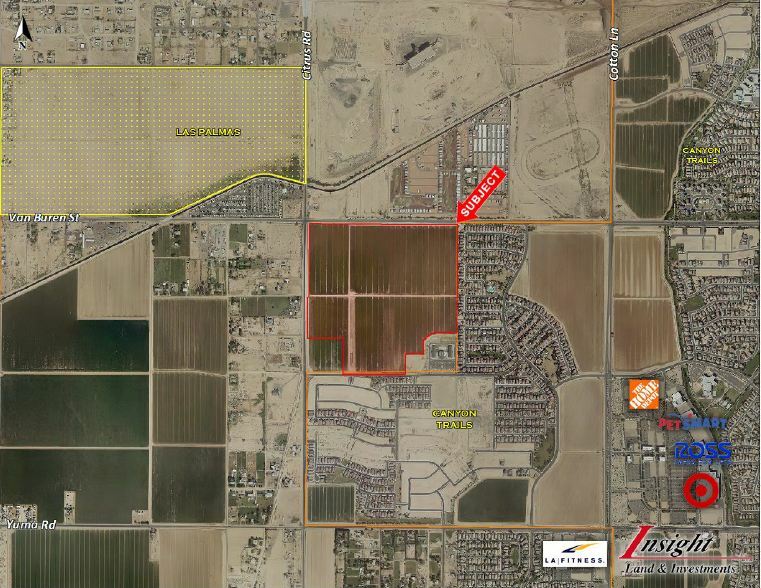 -Near Estrella Falls mall (Future) and Goodyear I-10 development corridor. LOCATION: Southeast corner of Van Buren St and Citrus Rd in Goodyear, AZ.